Founded in 1976, the Independent Educational Consultants Association (IECA) is the international professional organization representing school and college admission counselors working in private practice. IECA’s long-lasting leadership in setting professional standards and pioneering ethical practices has earned the organization the reputation for excellence among parents, admission colleagues and in domestic as well as international media. Membership in the IECA demonstrates that one has met rigorous standards. Only 7% of those who inquire about membership are ultimately accepted, making membership akin to licensure in this unregulated profession. Only the most qualified and experienced independent educational consultants in the United States are recognized with the designation as a "Professional Member" within the IECA. This designation demonstrates that the consultant is an expert in their specific domain and holds advanced degree/s in multiple disciplines relating to education, psychology, special education, school law, school improvement, school leadership and/or college admissions. 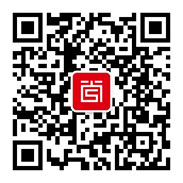 Shang Planning Platform has established exclusive and collaboration partnership with selected IECA professionals who demonstrate immense expertise and extensive network, but also a successful track record of working with Chinese families. We believe that education is a long-term and systematic undertaking that requires early planning and being open to finding the best fit for each student. Top schools are the natural by-product of impressive abilities built up over time. Therefore, we emphasize growth over admissions. "Education is not just an offer, but a lifestyle." A Beijing native with eight years of studying abroad experiences, Nini remains true to her “dudish” northerner personality. At the age of 14, Nini left Beijing Jingshan School to begin her journey abroad. 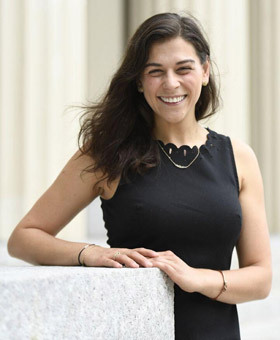 She completed four years of high school career at a private boarding school Tabor Academy in Massachusetts, US and graduated as the valedictorian of her class. Nini was accepted early with full scholarship into Princeton University in New Jersey, US, and graduated with a Bachelor of Arts in Economics and East Asian Studies, along with Certificates in Finance and Korean Language. During college, She spent two semesters abroad in South Korea at Yonsei University and Seoul National University, respectively, for intensive language training and senior thesis research. Nini interned at JP Morgan Chase & Co’s New York office as an investment banking analyst during her sophomore summer at Princeton. Upon graduation, she began her career as an investment banking analyst at Morgan Stanley’s Hong Kong office. After two years in the finance industry, she decided to switch career upon receiving a master degree from the Journalism and Media Studies Center at the University of Hong Kong, and joined Phoenix InfoNews Channel as an International News Subeditor. Nini subsequently transferred to CNN International in 2009, where she worked as a Planning Producer and Digital Media Producer on live broadcasts and features programs. During her career in media, Nini also worked as a part-time digital brand strategist in the 360° Digital Influence department at Ogilvy & Mather. Nini left CNN in early 2012 to build her own digital media company, QI Post Limited, which brings a multi-city perspective to urban living topics for the jet-setting Chinese travelers around the globe. 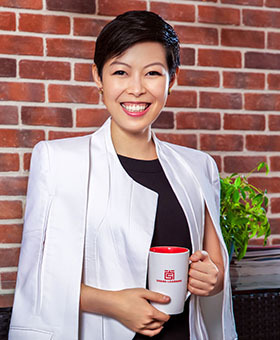 After moving back to Beijing in 2013, she is working on her second venture, Shang Learning, a boutique learning center that provides private families in China industry intelligence, comprehensive assessment, individualized curriculum, and independent advisory throughout the child’s development. Nini currently serves as a Board Member for her high school alma mater Tabor Academy. She is the former Chair of Alumni Students Committee for Princeton University overseeing alumni interviews in northern China. She also sits on the Executive Board for JUMP! Foundation, a non-profit social enterprise specializing in experiential education. In 2018, Nini is invited to become an official mentor for Schwarzman Scholars at Tsinghua University. Nini is a certified professional member of the Independent Educational Consultant Association (IECA). She’s been interviewed by various domestic and international media including CNN, GQ, The Economist, New York Times, CCTV, BTV, Studying Abroad, etc. "Global leaders are those who could navigate seamlessly across cultures, bearing in mind their core identities." Since 1986, Hamilton has worked in a variety of schools in varying capacities. Having attended St. Mark’s School, a boarding School in Massachusetts, he is very familiar with boarding school life. After receiving his master degree in education from Harvard University, he has worked in three boarding schools – The Thacher School in California, The Oregon Episcopal School, Portland and the Leysin American School in Switzerland. He has also worked at international schools in Japan and South Korea, as well as the International School of Beijing as well as Harrow International School in China. Hamilton’s primary focus has been on college and university admission to institutions in the US, UK, Canada and other countries. With his experience in boarding schools in the US and overseas, Hamilton also works with families interested in exploring options for boarding school whether Junior and/or High School. Deeply involved in college counseling, Hamilton is a long-standing member of the National Association for College Admission Counseling (NACAC) and the International Association for College Admission Counseling (IACAC). He has served on the Current Trends and Future Issues Committee at of NACAC and as President of IACAC for two consecutive terms. Hamilton is a Professional Member of the Independent Education Consultants Association (IECA) and he currently sits on the Board of IECA. Hamilton is bound by a strict code of ethical procedures and practices. This year, Hamilton became an associate member of The Association of Boarding Schools (TABS). "Professional education consultants are those who function effectively as a bridge between families and schools." Lloyd Paradiso who is the Admissions Authority has been doing this work for over forty years. It is precisely as a result of his continuous commitment to the highest standards, his tireless pursuit to comprehend the industry in its myriad manifestations and his insistence on treating every client as his number one priority, that the Admissions Authority has been a prominent choice in educational advising, in school, college and graduate program planning for over four decades. Mr. Paradiso's education and experience give him a framework by which he can almost instinctively assess and effectively position a candidate in the academic landscape. A product of both public and private schools during his formative years, he holds a bachelor's degree from Hamilton College, a master's degree from Middlebury College and has completed the coursework (and written examinations) for a doctorate in Educational Administration and Psychological Services at the University of Pennsylvania Graduate School of Education. Mr. Paradiso's history in the field solidifies and enhances his long-lasting relationships with many admission professionals at a vast array of institutions across the country and around the world. His knowledge, education and creativity have lead to numerous partnerships with global organizations such as Exxon Mobil, Hercules, RCA Ariola, Rockwell, Rhone-Poulenc Rorer and Glaxo among others. In addition to education consulting, Mr. Paradiso is an in-demand panelist, speaker and presenter. He frequently takes on various topics regarding education and consulting for audiences at educational conferences, workshops and symposia in the U.S. and around the world. He conducts in-depth corporate training seminars for international businesses to better learn and understand American business practices and he will do the same for American clients in international arenas. Mr. Paradiso holds membership in the National Association for College Admission Counseling (NACAC), the Pennsylvania Association (PACAC), the Southern Association (SACAC) and the International Association (International ACAC). A founder, past president, Committee Chair and Board member of the Independent Educational Consultants Association (IECA), he holds the designation of Certified Educational Planner (CEP). "My one and only task is to identify the institutions that would optimize happiness and success for my students." Patricia O’Keefe is a native Californian who advises select Chinese and Japanese families on the American collegiate admissions process. Patricia has worked in education for over 13 years and is a member of IECA, NAFSA & TABS. After graduating from the University of Southern California (USC) with an MBA, Patricia was selected by the Dean of Admissions and Vice Provost of International Affairs to run the USC Global Office Japan. In Japan and Korea, Patricia was in charge of USC recruiting efforts, as well as alumni, corporate and government relations. Patricia also worked with the USC Global Executive MBA program in Hong Kong and China. For nearly 20 years Patricia worked in Asia and has traveled to over 52 countries throughout the world. Prior to USC and working in education, Patricia worked for the Walt Disney Co. in both Japan and the United States translating documents from Japanese to English. Patricia has a passion for foreign languages. She studied Japanese language and culture at Keio University, Japan in 1994 and passed the highest Japanese Language proficiency exam, (JLPT Level 1) administered by the Japanese Ministry of Education in 2009. She studied Mandarin Chinese for two years at the Chinese University of Hong Kong and passed HSK level 5 in 2012. She also studied French at La Sorbonne University in Paris in 2001 just for fun. Patricia received her MBA from USC’s Marshall School of Business in 2002. She received her undergraduate degree in political science from UCLA in 1989. Patricia understands that international students are a vital intellectual and creative addition to American universities. She understands the vast challenges that foreign students face while studying in America and she vigilantly prepares students accordingly. "The best application strategy is to aim for a school just a tad beyond your reach." 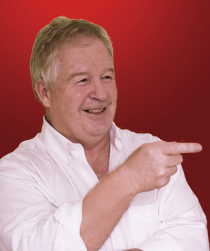 John has been connected to the private and public school world since the late 1970's. After a successful college football coaching career, John made the decision to raise a family and immerse himself in academia. For 26 years John and his wife resided in Concord, New Hampshire. Most of those years were spent on the grounds of St. Paul’s School, where they raised two children, while John taught Science, History and Humanities. Teaching Humanities proved to be a life changing experience, professionally. During his tenure at SPS, John coached football, basketball and baseball. John also served in a number of administrative roles in various departments: Admissions, Athletics, Residential Life, Head of the Faculty Leadership Council, and Student Affairs. He provided expertise on a regional level as President of the Independent School League and President of New England Preparatory Schools Athletic Council. John has also served as the Head of School at The Burlington Day School and Charlotte Secondary School in North Carolina. John graduated from Springfield College and went on to receive a Master’s Degree in Arts and Liberal Studies from Dartmouth College. His entrepreneurial daughter graduated from St. Paul’s School. His son graduated from Phillips Exeter Academy and now works for ABC as a photojournalist, while also running his own production company. "A breadth of knowledge about the variety of boarding school options for the most tailored educational plan." Anneke has devoted her career to boarding school admissions and extended program development. She began her career working with international students at Wilbraham and Monson Academy. Since then, she has worked extensively with both domestic and international markets for the purposes of student recruitment for ten years. Anneke has worked in schools in New England, the Mid-Atlantic, and the South, providing her with a breadth of knowledge about the variety of boarding school options for students. Included on that list are the following: Oldfields School - an all girls’ school, just north of Baltimore in Maryland; The Perkiomen School - a co-educational school with a robust ESL program; St. Andrew’s-Sewanee School - a small boarding school in Tennessee, also her alma mater; and currently at Phillips Academy, in Andover, Massachusetts, where she is the Dean of Admission and Assistant Director for Summer Session. In addition to her recruitment work, Anneke has contributed to her boarding school environments as a house counselor, advisor, coach, and mentor to her students. Throughout her career, Anneke has worked closely with education partners to ensure that students are placed in the best possible school for their success. Her work with partners, families, and students has been some of her most rewarding and a major reason for her interest in working with students and Shang Learning. "An extensive network in the private school and professional sports arena, coupled with experiences as a teacher, a coach and a mentor." Tim Katzman began his teaching and coaching career at The Hotchkiss School (Lakeville, CT), where he taught a variety of American history, political science and developing nations courses. At Hotchkiss, he also established an exchange program between South African independent schools and four New England boarding schools (Deerfield Academy, Hotchkiss, Miss Porter’s and the Salisbury School). He coached squash and baseball, supervised a dormitory of upper school boys and chaired or served on a number of faculty committees. In June 1996 and on the heels of a year-long sabbatical, Tim left Hotchkiss to accept a position with the San Diego Padres, a Major League Baseball (MLB) team. He served in a number of capacities, including Special Assistant to the President, Director of Fan Services, and finally, Director of Corporate Communications. He was appointed a Board Member of the Major League Baseball-Dominican Republic Development Alliance, supervising a number of corporate social responsibility initiatives in that island nation. Tim left the baseball industry in 2009 and returned to independent school education at Francis Parker School (San Diego, CA). At Parker, he served as the Director of Summer and Extended Day Programs. A signature component of each summer program was an outreach effort that Tim implemented and directed, inviting 20-25 middle and upper school level Chinese students to Parker for a 3-4-week summer language and cultural immersion program. Accordingly, he was a frequent visitor to a wide geographic range of Chinese cities and schools annually, seeking to identify appropriate students for the school’s summer program. Tim also coordinated the school’s after-school program, was a member of the Administrative Leadership Team and started the squash program for upper school girls and boys. He received his undergraduate degree from Middlebury College (Middlebury, VT) and his Master of Arts in Teaching (MAT) from the University of St. Thomas (St. Paul, MN). 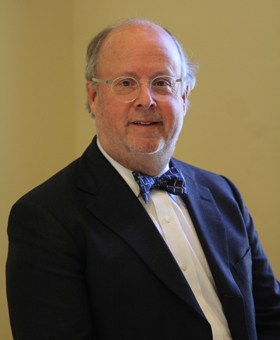 While at Hotchkiss, he received a Klingenstein Institute Fellowship from Teachers College, Columbia University and was a recipient of the Outstanding Teaching Award from the University of Chicago. 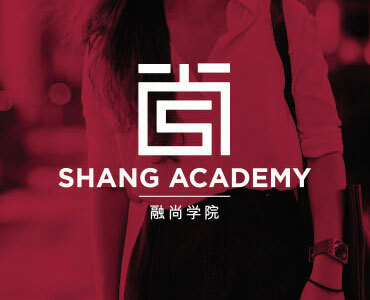 Shang Academy is an independent, co-educational, after-school academy that equips students interested in international education with the necessary skills, knowledge and mindsets for an effective application process – getting in, as well as a seamless assimilation into a foreign society to excel both inside and outside the classroom – getting ahead. As the educational advisory arm, we believe preparation breeds success; therefore, we advise families to think long-term and begin as early as third grade to build a solid foundation for life-skills and habits that would enable the students to shine. 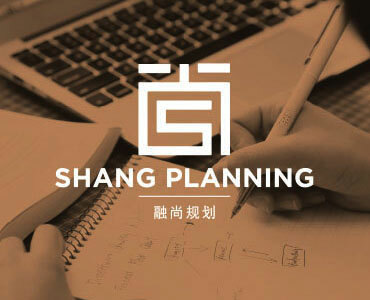 As the premier test prep arm under Shang Learning Group. Our proprietary curriculum is developed in-house with courses range from TOEFL, SSAT, SAT.